The Hinderer Knives XM-18 Spanto blade flipper with a textured OD Green G-10 handle is an all-purpose tactical knife with the premium quality that enthusiasts expect of this iconic knifemaker. The XM-18 is known as one of the toughest outdoor folding knives for military personnel, law enforcement and avid outdoorsmen. Made in the U.S. using the latest CNC machining technology, the Hinderer Spanto 3.5-inch is one of the most versatile models for everything from combat to outdoor chores. The blade of every Hinderer XM-18 3.5" Spanto is constructed using the highest grade American-made stainless CPM S35VN steel. Developed by Crucible Industries, this steel includes niobium that makes it easier to machine while still being tough and wear-resistant. A RHC of 60-61 means it will hold an edge without chipping or breaking. The Spanto blade shape is Rick Hinderer's blending of a spearpoint shape with a Tanto, which gives it sterling slicing and piercing power. Jimping on the thumb rest of the blade spine gives this XM-18 excellent forward traction. Dual thumb studs as well as an integral flipper for easy opening and closing with either hand. 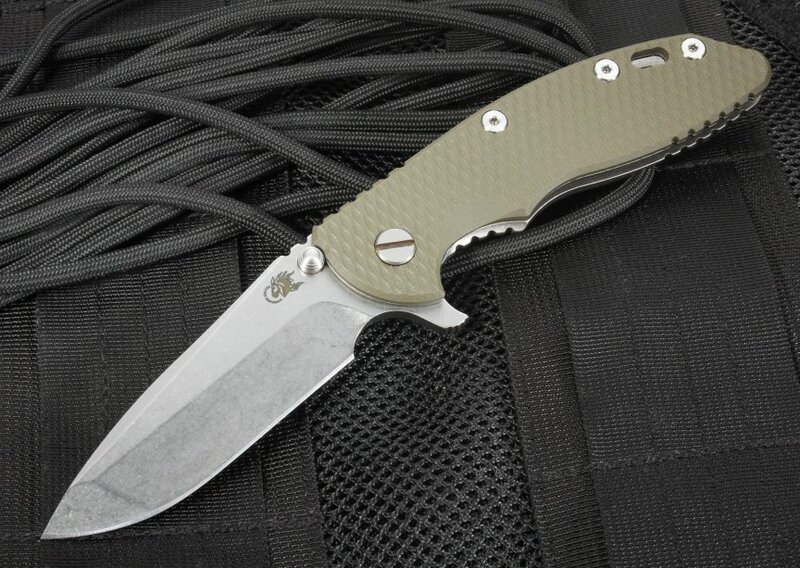 The 4.75-inch XM-18 Spanto handle is made from aerospace grade 6AL4V titanium and OD-Green G-10 composite. These tough but light materials give the knife an overall weight of 5.7 ounces for easy control and carrying. They also make it durable, comfortable to hold and hard to spot when concealment is needed. 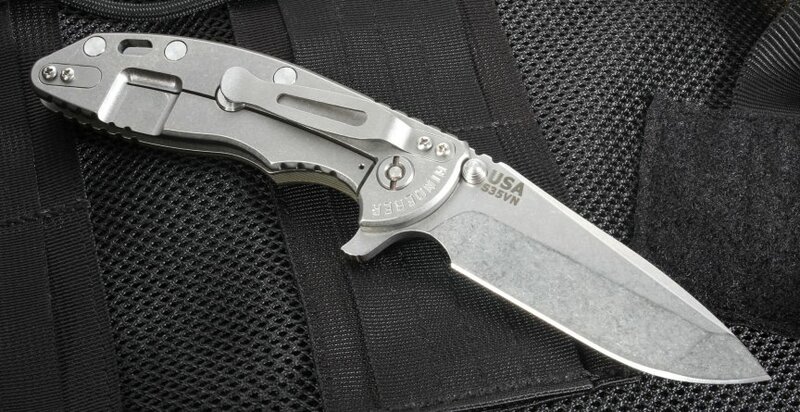 It has a Rick Hinderer-designed lock bar stabilizer on the frame lock, which prevents users from "springing" the bar so it can no longer lock. 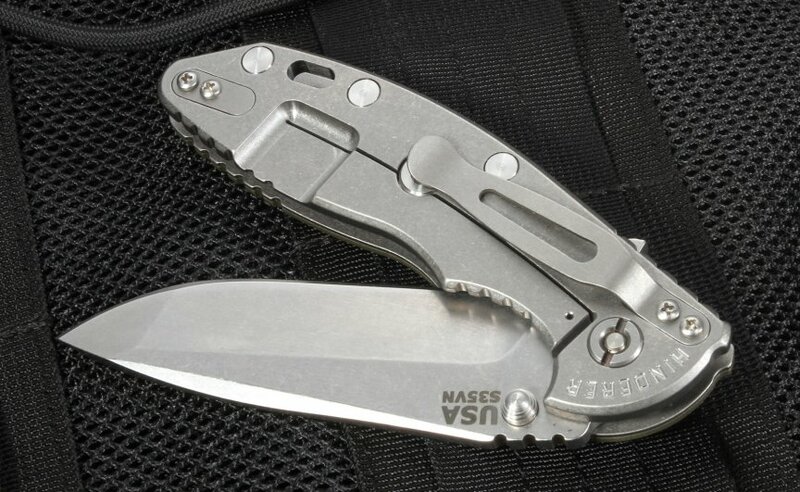 The rear section of the handle has a lanyard hole for easily adding your favorite knife lanyard. A titanium pocket clip can be mounted on the front or rear of the handle depending on your preference for blade tip-up or tip-down carry. 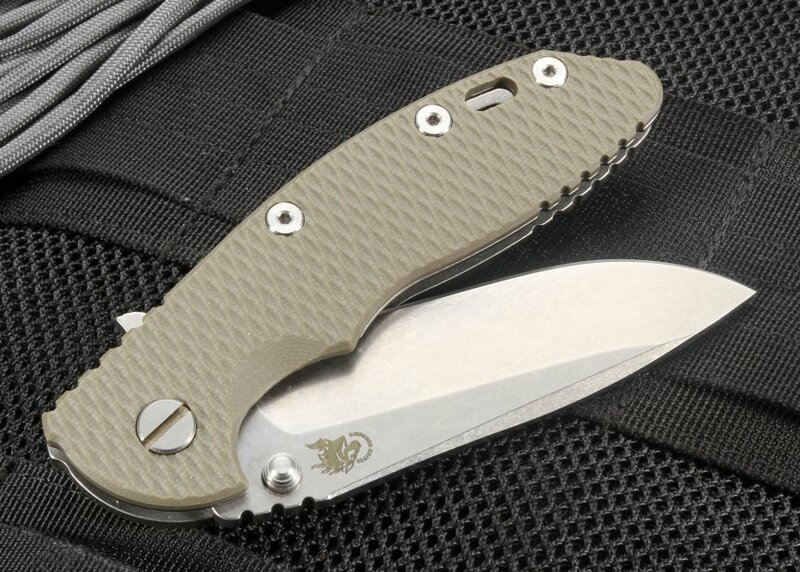 Designed for smooth operation even when your mission gets tough, the Hinderer Knives XM-18 Spanto 3.5 tactical folding knife is an indispensable tool for professionals and diehard enthusiasts. When you order from KnifeArt, an authorized Rick Hinderer dealer, you get free shipping, a satisfaction guarantee and timely service from our fine knife experts. We have been in the industry since 1998 and are committed to assisting everyone who wants a high-quality knife. I'm very happy with the purchase, the service is excellent and delivery was faster than expected. I am not sure why I took so long to pull the trigger on this. Fantastic build quality, everything about this knife feels SO well done, almost over engineered. The operation and deployment are also incredible.